Michigan 4-H Foundation	» Blog Archive » 4-H Children’s Gardens to celebrate 25 years! 4-H Children’s Gardens to celebrate 25 years! In 2003, the indoor garden opened providing year-round educational access to science-based learning. In 2008, the 2,500-square-foot Pete and Sally Smith Schoolyard Education Garden opened to provide educators with ideas and learning concepts in developing outdoor gardens in schoolyards and community spaces and as a demonstration space for environmentally friendly landscape materials. The gardens have also received many awards for innovative design as well as for the incorporation of the use of technology, including an online virtual tour, wonderwall (website for students to ask MSU faculty questions) and wonder casts (time-lapse videos of plants growing). “2018 is the 25th anniversary of the opening of the MSU Horticulture Gardens and the 4-H Children’s Gardens. We have a variety of special celebratory events scheduled throughout the year,” said Norm Lownds, curator of the Michigan 4-H Children’s Gardens. Today the gardens remain a vitally important educational resource for 4-H youth programs, for local schools, and for the young people and their families who visit the gardens each season. “More than 2 million people, mostly kids, have walked, ran, touched and often hugged their favorite things in the garden. “We are working to have the gardens looking as good, or even better than they did when they first opened in 1993,” said Lownds. 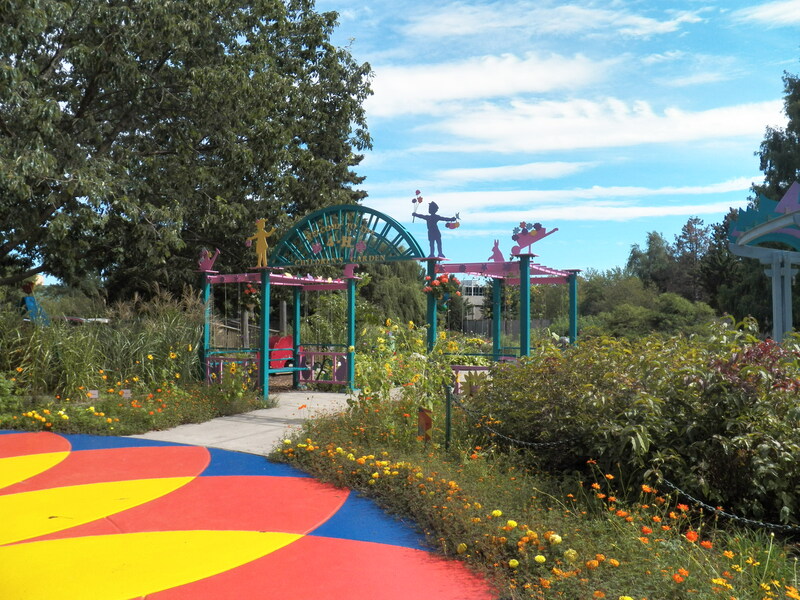 Projects in process include updates to the Storybook and Train gardens, the Sunflower House, a new shade structure for the Creation Station, and new tables and seats in several locations. Additionally, the Monet Bridge deck and rails will be replaced. “The wood for this project will come from oak trees that have been harvested from the MSU campus as part of the MSU Shadows program,” Lownds said. New this year will be a story walk installed in the main 4-H Children’s Garden in partnership with the Capital Area District Library. Custom story walk sign holders, to be installed in the spring, will provide information to incorporate storybooks with the content of the gardens. “We have selected our book, the content and the story signs are being made,” Lownds said. Funding is sought for major construction projects to upgrade the Monet Pond, Tree House and twigaloos (house-like structures made from twigs). 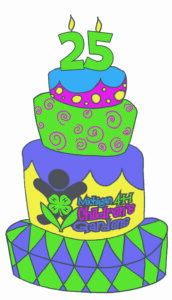 On July 14 from 10 a.m. to noon, the 4-H Children’s Gardens will host a Garden Birthday Party for youth to enjoy birthday cake, ice cream and activities in the gardens. Register at http://4hgarden.msu.edu/register/register-family.html. To view the full Michigan 4-H Children’s Gardens calendar, go to: https://mi4hfdtn.org/2018-4hchildrensgardens-calendar/. For more information on how you can make a special birthday gift or provide general support for the Michigan 4-H Children’s Gardens, contact the Michigan 4-H Foundation at (517) 353-6692, or donate online now.